SANTA CLARA — A Thanksgiving evening for one family ended when police cars, ambulances and fire trucks responded to transport six individuals to the hospital after a dog attack began inside of a residence Nov. 23. Updated Nov. 29 8 p.m. – Santa Clara-Ivins Police Department has released additional details to St. George News regarding this incident. Click here for followup article. 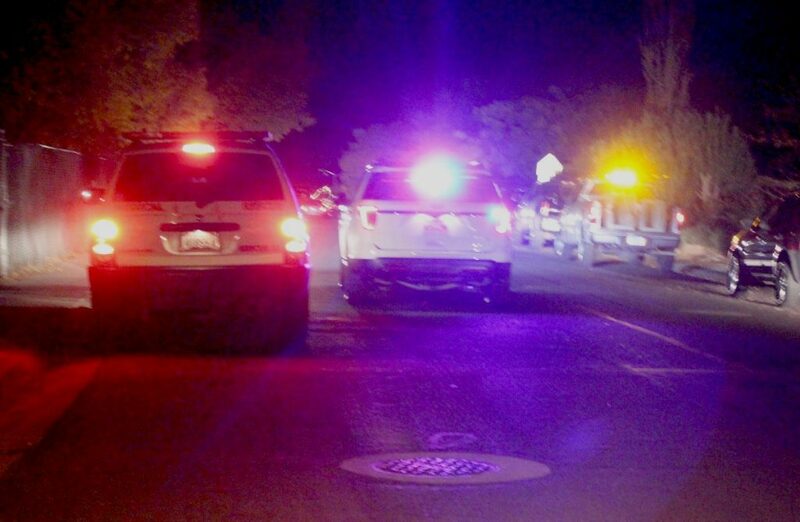 Shortly after 8 p.m. officers and emergency personnel were dispatched to an incident on Crestview Drive in Santa Clara involving individuals attacked by dogs. Responders were soon joined by animal control officers from the Santa Clara/Ivins Animal Shelter. 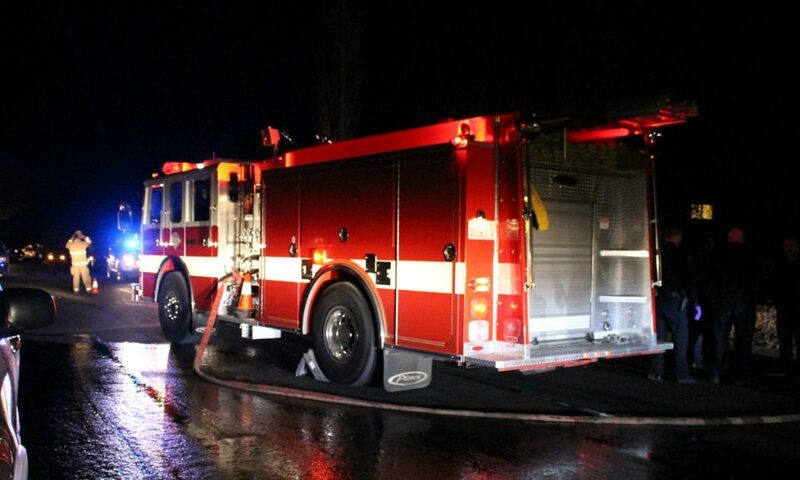 “From what I understand it was an unknown number of dogs that attacked the family, but we do know that six people were transported to the hospital,” Greg Leavitt, medical captain for the Santa Clara Fire Department, said. At least two were juveniles, he added. Paramedics quickly loaded victims into two ambulance and transported them to Dixie Regional Medical Center with lights and sirens activated. Fire department personnel also tended to the scene, hosing off blood from cars, landscape and the street outside the residence, as officers questioned witnesses inside. The officer was seen taking out three animal carriers and two dogs who were not in carriers. The breed or breeds of the dogs was not released at the writing of this report. Any animal that has bitten a person is often required by law to be quarantined for a period of time, usually one week to 10 days depending on the pet’s vaccine status and local laws, and allows the dog to be tested for rabies or to verify that they have been vaccinated, Leavitt said. Additional information, including what triggered the attack, was not immediately available from police as the incident is still under investigation. Ed. Note: A previous version of this article reported that “multiple” dogs were seen being taken from the home. The Santa Clara/Ivins animal shelter confirmed that all animals were removed per policy. And know…….. The rest of the story……? Hey reporters? How about asking some questions. It might make for a readable article. Were these just a pack of dogs that attacked the family? The Bumpus hounds out of control? The victims own dogs turning on them? Where did these dogs come from? Six victims–adults and kids, and the fire department had to hose off blood from the landscape, vehicles, and street? I think it’s safe to say it wasn’t Chihuahuas. I’m sure pit bulls were involved.